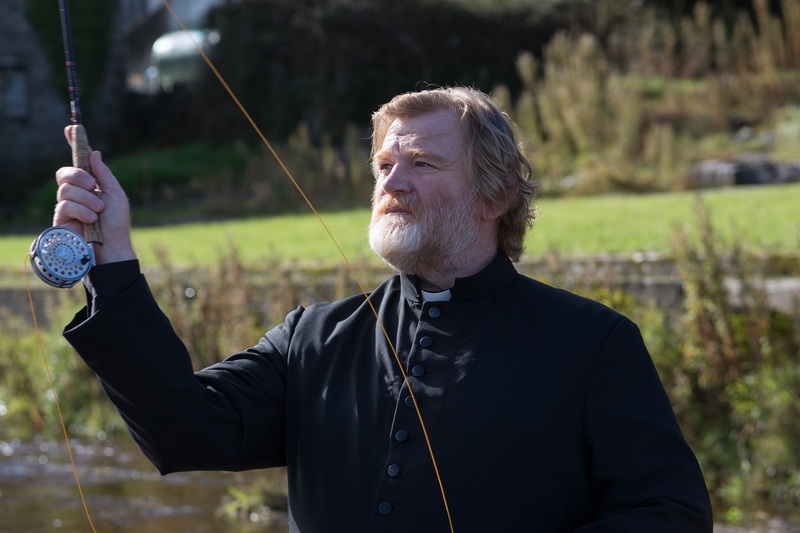 Calm in the Storm: John Michael McDonagh, Brendan Gleeson on "Calvary"
I walked out of writer/director John Michael McDonagh’s “Calvary” in Park City this year and felt renewed deep into an exhausting festival. 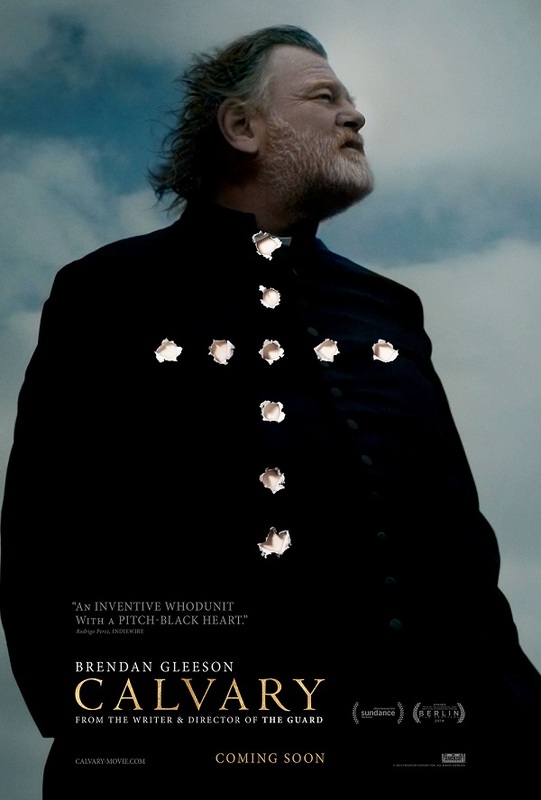 Featuring the best performance of Brendan Gleeson’s remarkable career, “Calvary” is a fascinating dissection of the place for faith in a world where institutions like religion have let us down. 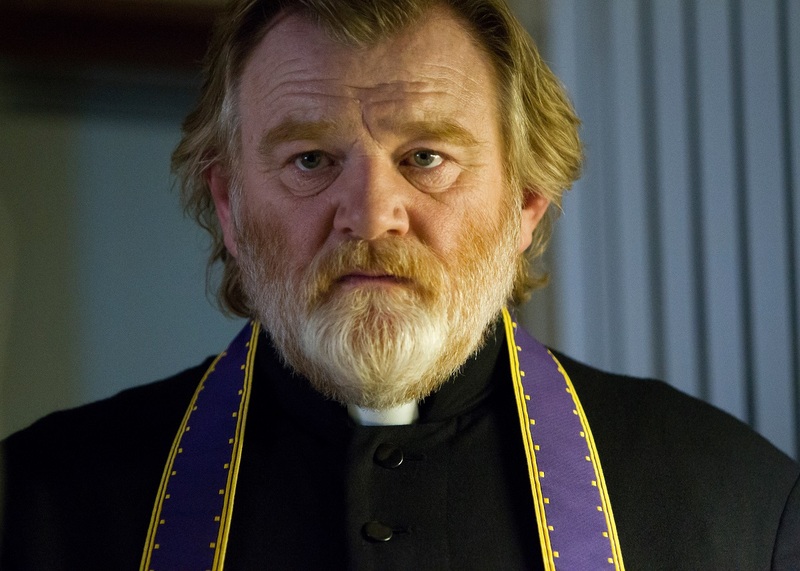 Gleeson plays Father James, a man told in confessional that he will be murdered in a week for the sins of the church. He has seven days to get his house in order. McDonagh allows the mystery of who will kill Father James to fade into the background of a fascinating character piece as the good man deals with the troubled souls in his small Irish village. 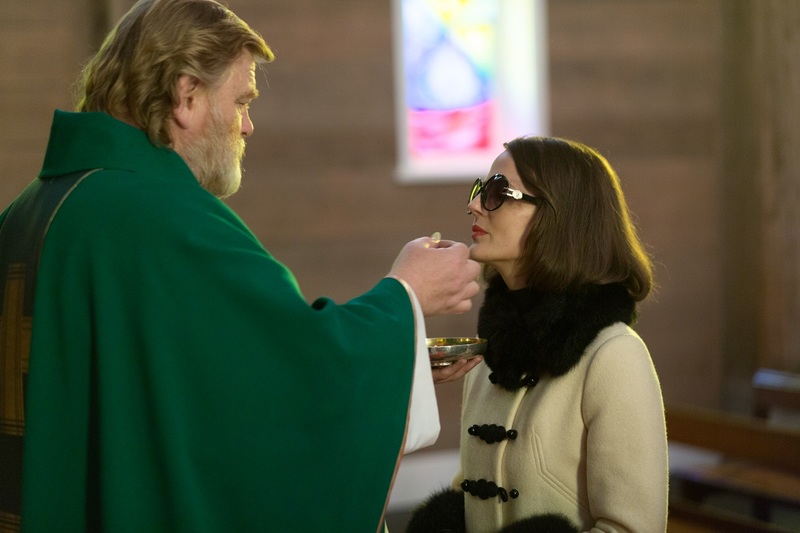 Sin, redemption, abuse, repentance—McDonagh is playing with big themes here but Gleeson grounds them all with a remarkably centered, riveting performance. Both gentlemen sat down with me last week. As you might imagine, Gleeson’s laugh is even more infectious and deafening in person. At the end of the interview, I shook his hand and congratulated him on what I think is the part of his career. He seems to really be enjoying discussing this role and recognizes its place in his filmography as well. I haven’t been in a church for something other than a wedding or a funeral in twenty years so my religious background is kind of light. I saw the film for a second time last night with a friend who has more of a background and he was doing things like noting that there are 12 supporting characters like the 12 disciples. Was it important to you to make a film that worked on both levels—for the heathens like me and those who can quote the scripture? JOHN MICHAEL MCDONAGH: Yeah, the story is about a Priest and so that may not appeal to people who are not religious. But there is also that crime/mystery element that I hope is a hook that might appeal to people who may not otherwise be interested. Yeah, it deals with a lot of different subjects but it’s done by meeting one sort of idiosyncratic, strange character after another like in a Sturges screwball comedy. That was my approach. I start with character first and whatever the subtext will come out, it will always be there if you create a great work of art. People will see things that you may not have intended. If it’s dense and it’s rich, those things will come up all the time. But it’s to be entertaining first. The film should appeal to both atheists and true believers. You write characters first. Did you write this one for Brendan? Yeah. We had had such a great working relationship on “The Guard.” Toward the end of shooting “The Guard,” we started talking about what to do next. So, do you craft this character together? 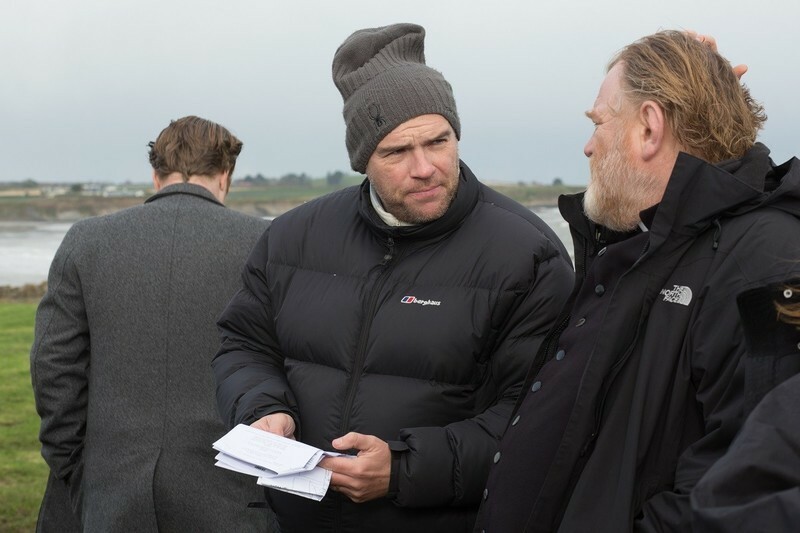 BRENDAN GLEESON: He writes it but he lets me see the first draft, which was great. John’s very collaborative. There’s no doubt who the writer is, but it meant that I got to grow…the character became more and more familiar over the course of a year. There’s no real research I had to do. First of all, I grew up in Ireland. That was a no-brainer. A lot of the character was a part of my life. And so I grew to know this man from very early on in the proceeding. Which was great because we had a very tight shooting schedule and so it meant we were completely on the same page. The preparation was great. BG: (Laughs.) Exactly! And Marie-Josee Croze! The French too! It’s a rare opportunity to get a character to work on for a year. BG: Oh, yes. It’s fantastic. In a way, I kind of felt I was shattered both in the making of it and in the aftermath in a way that I had never been before so it obviously got [under my skin]. It was a huge gift. I know that John’s writing. We both feel “The Guard” was deeper than people give it credit for. There was a lot of stuff going on there. He was a lonely soul. This one—talk about attacking the big questions. For me, it’s not Catholicism; it’s the basic questions about life and the viability of the human comedy. All that stuff became very personal. It was a fantastic gift. How do you find the calm at the center of a character like this? If I get a cigarette thrown on me, I’m going to respond in a way that this character doesn’t. Is it difficult to find that center? BG: Two things. One, was childhood and that delineation between good and bad that was clear. The second was my parents’ generation. I thought of them and their humility. My mother was a forceful woman, for example, but her religion was a religion of love. She would absorb an awful lot. There’s something about the commitment to it. Part of his brief is to absorb the pain and, I think, offset this sense of abandonment that people feel. Treason has been visited on them by every figure of authority from the politician to the priest. The calm is there but I think it becomes increasingly more difficult, and I think the fact is that in a 7-day window before you die, you’re trying to give the best version of yourself to the world before you go. JMM: There are times where it looks like he’s going to throw a punch, which you assume he probably did in the past. There’s the bit with Isaach de Bankole, which you mentioned. And it almost looks like he’s going to charge back and deck Dylan Moran. When he does actually really go for someone, it’s when he’s drunk and his inhibitions have been lowered. BG: And he’s at that low point after he can’t even talk to a girl in the road. He’s been besmirched by this sense that something unseemly is happening. And that one for me is a big one because that’s true for even just a man at this point. You can’t take a child by the hand in a supermarket who’s lost and bring it to his mother. You can’t be a parent figure as a man anymore. There’s something disastrously wrong that we’ve lost. There’s a calm there but there’s a horrible feeling of how do you deal with all of that stuff. I’m fascinated by the idea of “giving the best version of yourself to the world in your last seven days” because even that seems like a rare character trait to me. I would think most people would panic and lash out. He does get there to some extent but I think religion and your parents’ generation tend to make people want to present better versions of themselves. BG: It’s interesting. I think people are different from what they imagine themselves to be. I think of that Millennium thing. Back home, they were charging 100 quid to get into a bar on the night of the Millennium. Everyone thought this would be the biggest party we’d ever have. Almost everyone went home and spent it with their family. It was just a very bizarre thing. It’s like what people do on a plane when it’s coming down. They say the most clichéd lines in the history of the world. I think when people are faced with death—and John based this on the five stages of grief—there are various forms of bargaining and depression and anger, but the acceptance is an extraordinary thing. You used the word cliché and I want to talk about how this script both embraces and defuses them. It’s remarkably self-referential from Brendan’s first quip about the power of the opening line to mentioning the third-act revelation in a play at the Abbey to characters like the doctor who provides commentary on his own misanthropy. But it works partially because of what you’re saying—end times bring about cliché—but were you worried about a script that could have been weighed down and off-balance between that realism and cliché? JMM: That led to. What does she say? You added that it should also be “False.” “True. False.” And so you added that moment that people weren’t expecting. These people have an odd self-awareness at times that allows for the exaggerated dialogue because, as you said, they approach Sturges characters more than real people. JMM: Yeah. Yeah. I think that’s a valid criticism of the writing sometimes—going into that post-modernist style does bring you out slightly. I enjoy doing it. I’m not sure if I’d do it as much because people are bothered by it. We don’t make the films for an empty audience. We want the audience to be filled. When I’m examining looking back and seeing what I did wrong there, I enjoy writing in that kind of style but I can see how it would throw people or irritate people if they’re engaged in the story. I think it works so well here because of the grounded center of Brendan’s character to offset the exaggerated ensemble. If everyone was as quiet and realistic and centered as Brendan, it wouldn’t have the same impact. JMM: Exactly. You know, if you’re making a Ken Loach movie, it’s going to be naturalistic. You’re not going to get characters commenting on themselves. I feel like you can get away with it a bit more in this kind of tale. How’s the location essential to this tale? 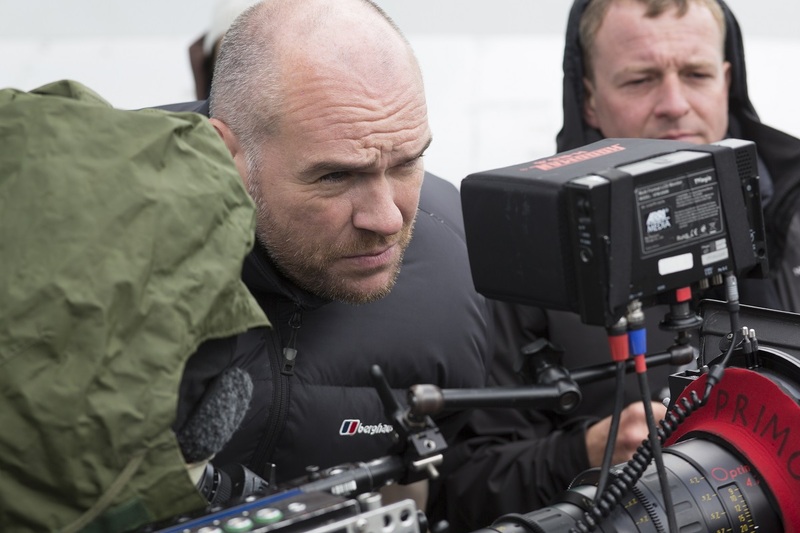 JMM: On both “The Guard” and “Calvary,” I knew the location and where it would all be set. It helps the location people to know the specific places. What happened in the shooting if I realized that mountain was in the background of every shot, which wasn’t in my mind when I was writing, but then it becomes this looming presence, this sinister aspect that you weren’t even intending. To get that across through the use of landscape. BG: It was a happy thing with the discovery of that particular piece of topography but I think you have an instinct for Monument Valley anyway. There was always the question of the mythic. It allows the characters to be both massive and tiny at the same time. There’s such a mythological feel to the place that all the broad questions can be embraced. JMM: It leads to moments like the final phone call—she’s having a coffee with a Dublin skyline behind her and he’s next to a crumbling castle. If you know the places, it informs the visual style. Were there are any filmmakers or artists that informed that visual style as well? JMM: Literary influences were so strong. A lot of the post-modernist writers. Filmically, obviously Bresson. Virtually the whole of Bresson. “Winter Light,” the Bergman movie. There’s an underrated De Niro performance in “True Confessions.” I watched that one again. And I re-watched a lot of Bunuel. “Viridiana,” “Tristana.” He likes taking potshots at the Catholic Church. Those were the main influences that informed it. Was there any difficulty in getting this film made? I speak to a lot of filmmakers nowadays who lament the loss of the mid-budget movie like this one. BG: It’s ghastly. I was in the middle of a film last year and I was six weeks in and the thing collapsed. It was a major achievement to get this made. JMM: I’ve been quite lucky on both films but even after the success of “The Guard,” this was still less money. You don’t just get more money. It depends on the material. What they think…they look at cast, script, and give you “this much.” But I feel like there are so many filmmakers struggling to get anything done, they’re willing to give me six million dollars instead of seven. It’s still six million dollars. We had that but it was a 29-day shooting schedule. Next Article: Nicholson on Nicholson Previous Article: Video Interview: Chadwick Boseman and Tate Taylor on "Get On Up"